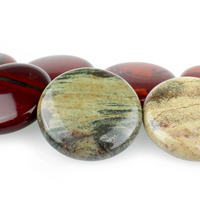 Apple jasper showcases an exciting variety of naturally occurring red and yellow designs. 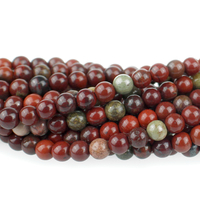 Jasper gets its name from the Greek word for "spotted stone." 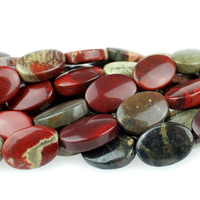 Metaphysically, red jaspers are believed to be very grounding and protecting stones. 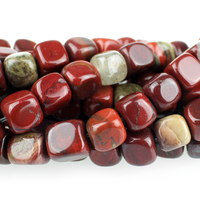 Apple Jasper 10mm round rich red with yellow New! 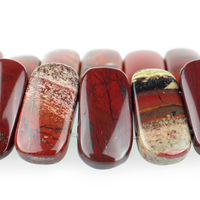 Apple Jasper 10 x 14mm oval rich red with yellow New! Apple Jasper 10 x 20mm double drill rectangle rich red with yellow New! 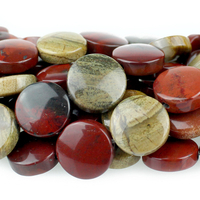 Apple Jasper 12mm coin rich red with yellow New! Apple Jasper 30mm coin rich red with yellow New! 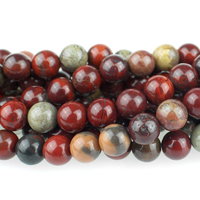 Apple Jasper 4mm round rich red with yellow New! 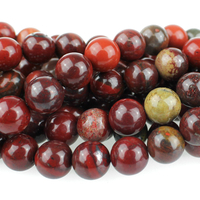 Apple Jasper 6mm round rich red with yellow New! Apple Jasper 7mm cube rich red with yellow New! 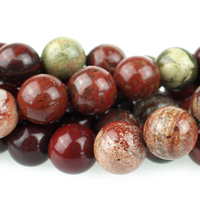 Apple Jasper 8mm round rich red with yellow New! 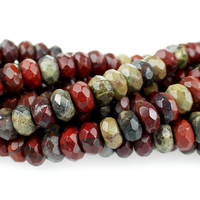 Apple Jasper 8mm faceted rondell rich red with yellow New!